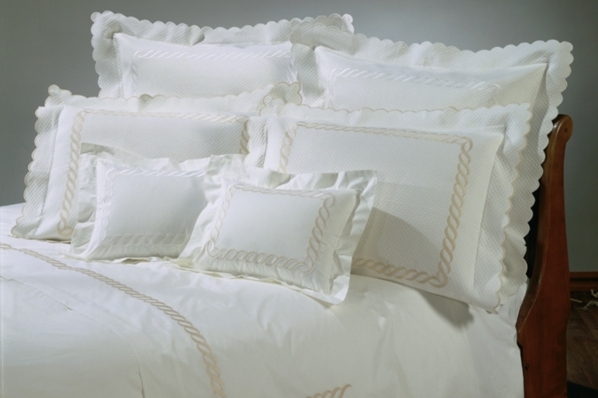 The "Catena" bedcover is shown here as standard and euro shams along with "Catena" bedding. As you can see in the enlarged image, the fabric of the Catena bedcover is a small pique and is finished with a scalloped edge. Available in white pique with white or almond embroidery.